SOUTH-TEC 2015 is the Southeast's premiere manufacturing event. It's not just a tradeshow. It's your road to innovative technologies and cutting-edge capabilities. Will you travel to SOUTH-TEC, too? Would you like to learn about surface finishing and deburring for advanced manufacturing? Flex-Hone® and NamPower technologies support automated operations. Learn more. 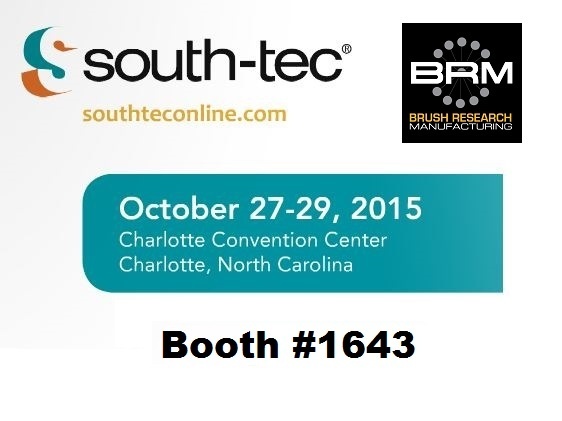 Visit Brush Research Manufacturing (BRM) in Booth #1643 from October 27 to 29, 2015 at the Charlotte Convention Center. Here's what to expect when you find us.